Picture this: you wake to the tranquil sound of the Coral Sea gently lapping on the shore, roll out of your plush bedding and step out onto your private terrace, the striking tropical landscape before you…live this fantasy at Whitsunday Terraces Resort! 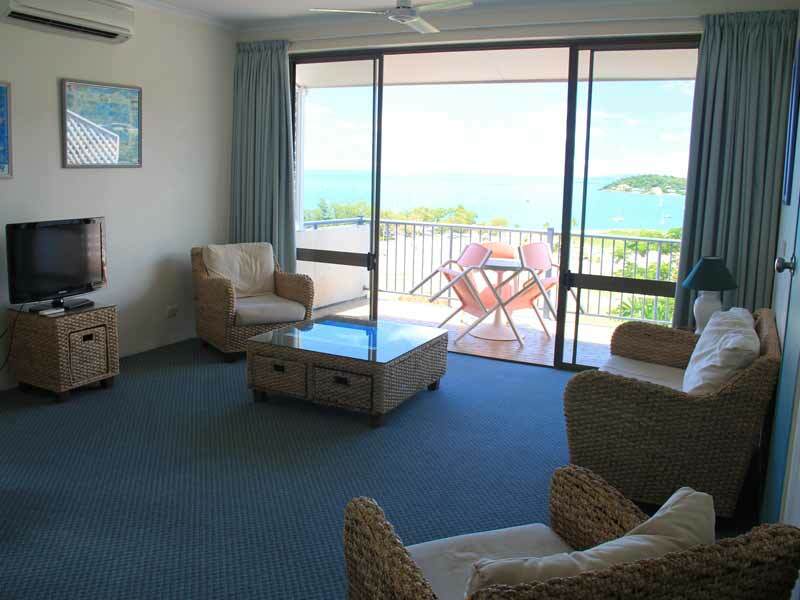 Each apartment at Whitsunday Terraces Resort has been thoughtfully designed to maximise space and provide guests with fully self-contained living. Enjoy the comfort and convenience of an equipped kitchenette, en-suite bathroom with complimentary amenities, TV, quality bedding and more! Each room features an expansive private balcony and stunning views over the turquoise ocean or lush hillside. As you explore the resort, make use of everything on offer! 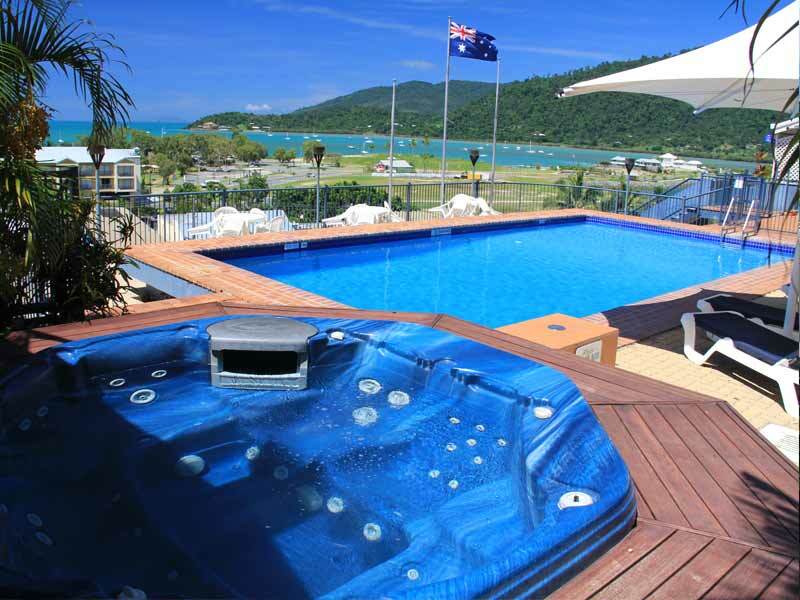 Whitsunday Terraces Resort is home to 2 sprawling pools so guests can catch the sun and cool down with ease. Let the relaxation continue as you plunge yourself into the heated spa or sip cocktails and indulge your tastebuds at the poolside Anchor Bar Airlie Beach Modern Cocktails and Funky Food as the sun sets over the Coral Sea. Later, round up the gang and make for the on-site barbeque amid lush gardens. Enjoy the convenience of Wi-Fi access, helpful tour desk team, conference amenities and free carparking at Whitsunday Terraces Resort! 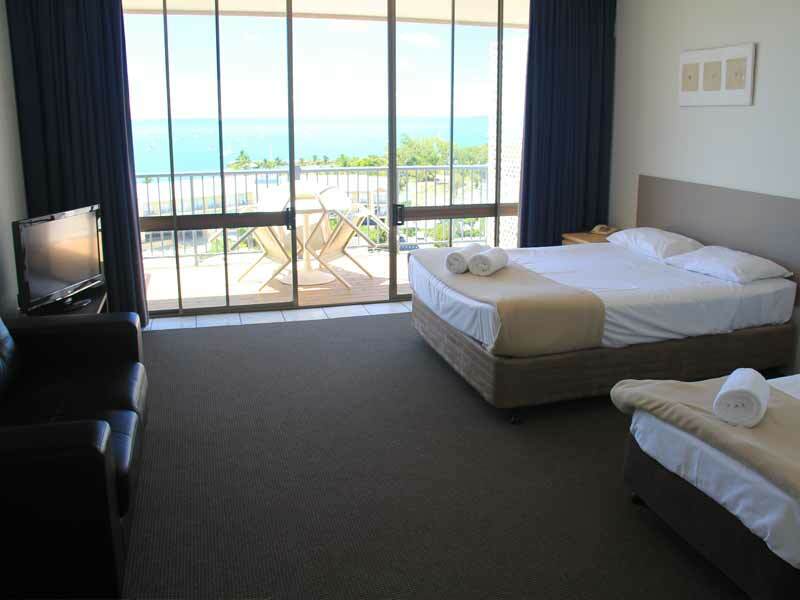 Why go to Whitsunday Terraces Resort? 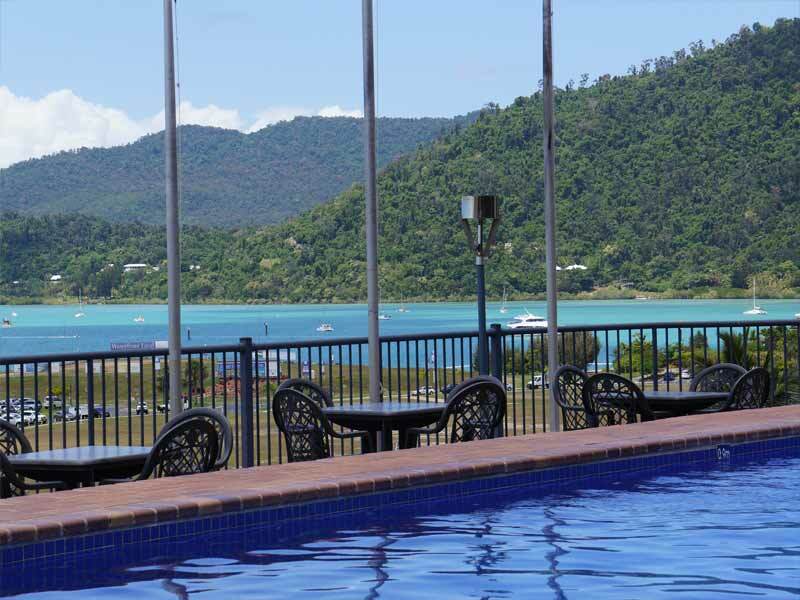 Adventurers, sun-lovers and R&R-seekers alike will love Whitsunday Terraces Resort! 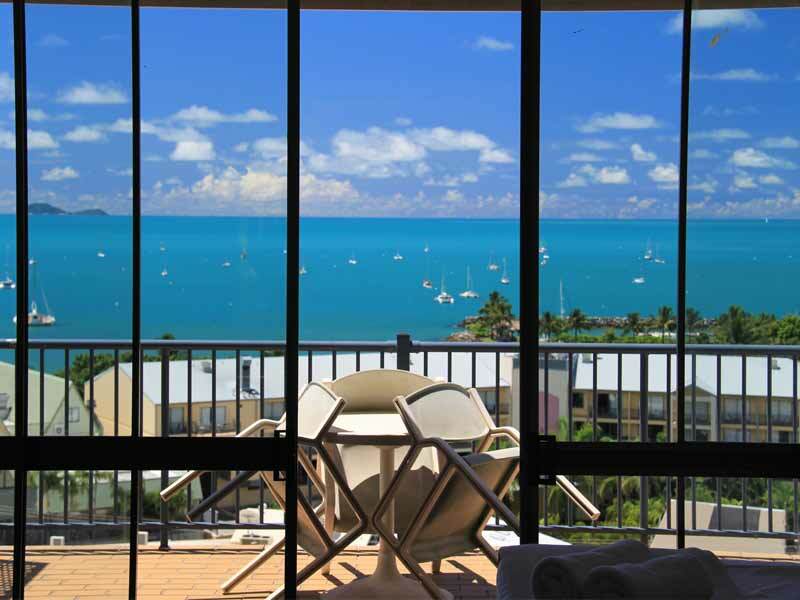 From the spacious, self-contained living, 2 sparkling pools and captivating views enjoyed atop your private balcony to live entertainment and exquisite cuisine at the on-site Anchor Bar Airlie Beach. The luxury doesn’t end there…Whitsunday Terraces Resort’s prime location gifts guests with direct access to the hustle and bustle of Airlie Beach, the pristine white sands, the magnificent Whitsunday Islands and none other than the Great Barrier Reef! No matter what you want out of your Queensland holiday, Whitsunday Terraces Resort will be sure to deliver. Spread out and feel at home in your Ocean View Studio. Every detail has been taken care of with a fully-stocked kitchenette, en-suite bathroom, flat-screen TV, tropical-inspired décor, air-conditioning and a host of other amenities to enhance the comfort of your stay. Spend your afternoons winding down and appreciating the spectacular yacht scene below from your private balcony! 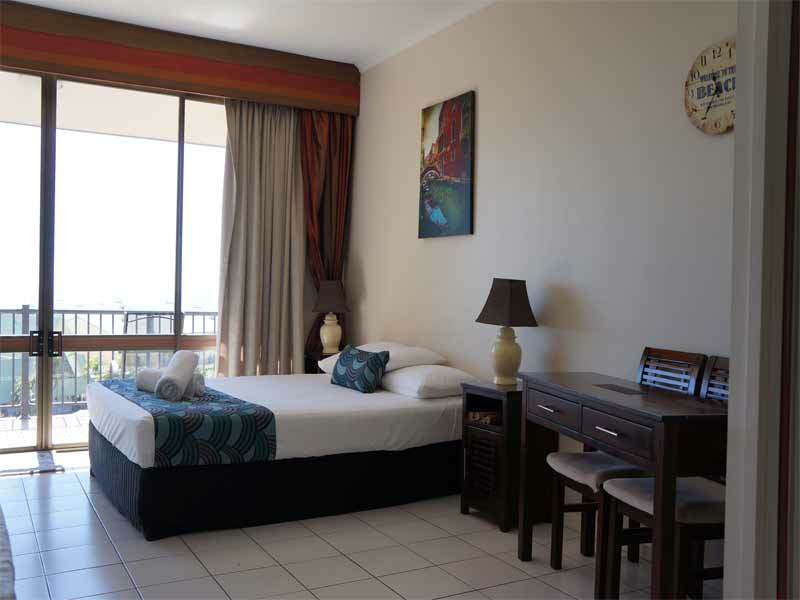 These studios feature Queen bedding and accommodate a maximum of 3 guests. 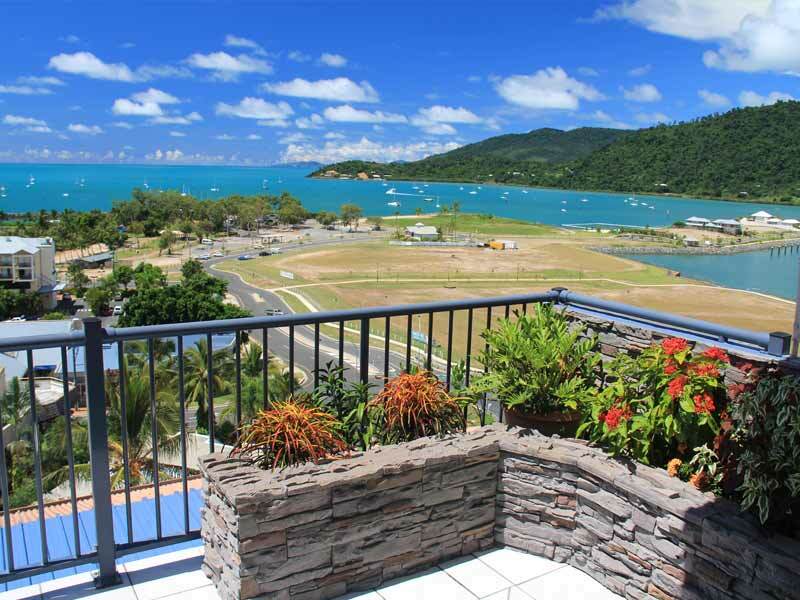 Whitsunday Terraces Resort holds a very central and favourable location in Airlie Beach, Tropical North Queensland. The resort sits exactly 2-minutes from all the main restaurants, bars and shops and is just a few steps away from the unspoiled white sands and turquoise lagoon of Coral Sea. Perhaps the best advantage of this position is the direct access to the 74 stunning Whitsunday Islands and Great Barrier Reef. Whitsunday Terraces Resort can be reached by car, bus or train however most travellers opt to fly into either Proserpine Airport or Hamilton Island. 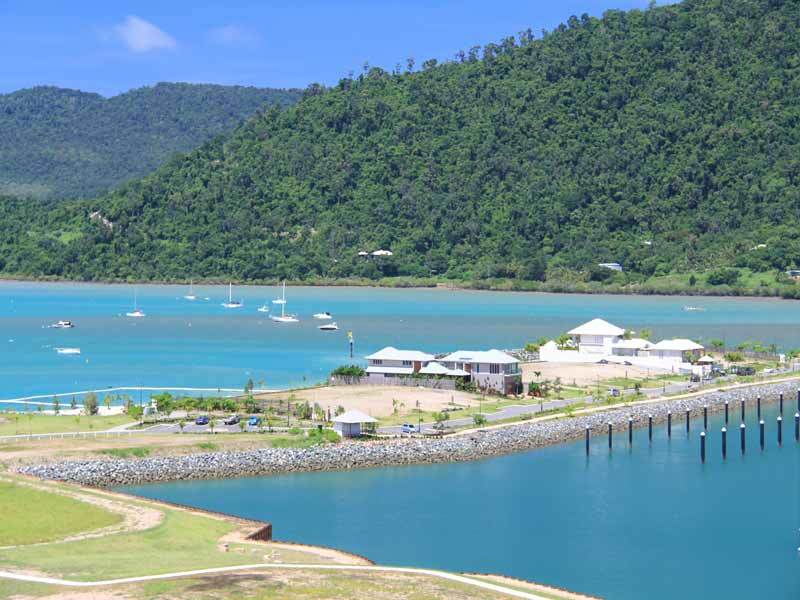 There is so much to see and do in and around Whitsunday Terraces Resort, you’ll never want to leave. Try out all the eateries and shops in the main centre of Airlie Beach before relishing the epic nightlife on offer. Set aside 1 (or 5) days to explore your choice of the 74 striking Whitsunday Islands scattered around the resort. Flaunting exotic wildlife and lush hiking trails, many of these islands are deserted and can be accessed via yacht, speedboat or helicopter! While staying at Whitsunday Terraces Resort, you must snorkel, dive or kayak across the famed Great Barrier Reef. Renowned as the world’s largest living ecosystem, this incredible reef stretches across 2,300-kilometers and hosts infinite sea life including dolphins, sharks and turtles! After a long day of adventure, head back to the resort and relax by the pool or terrace bar! The balconies and views were just as pictured on the website and the apartment was massive! Lots of space, really clean and a great location. Lovely poolside bar again with spectacular sea views!